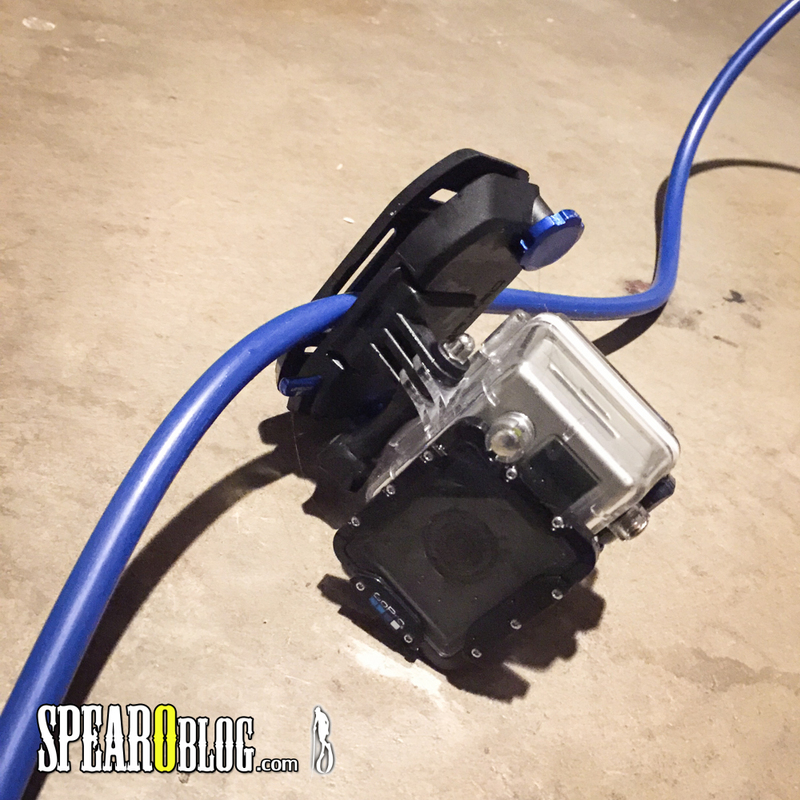 About a month ago I was approached by PolarPro to review the StrapMount. We agreed on a paid review. 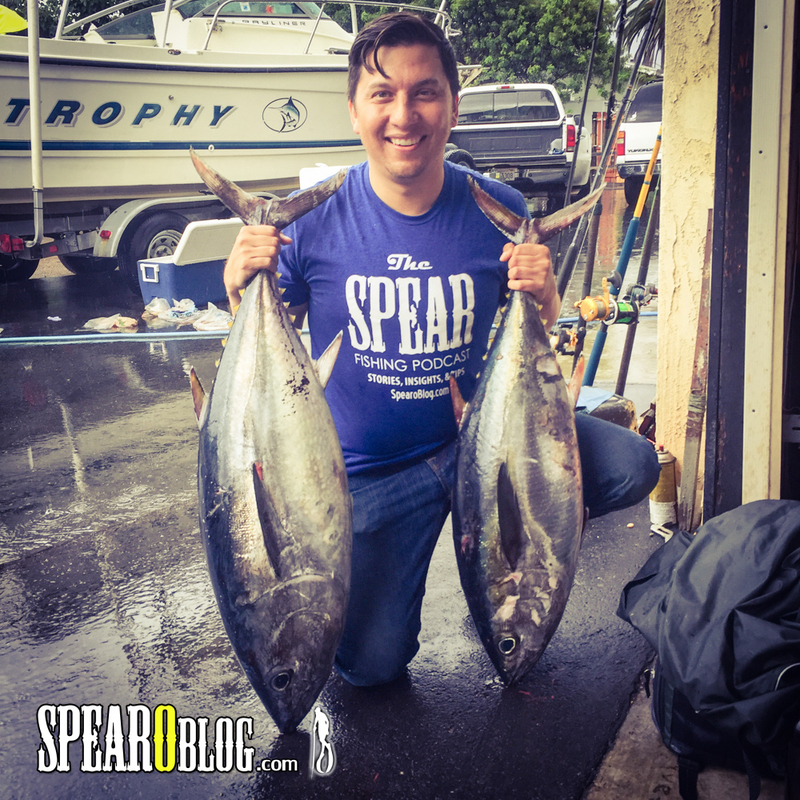 I took it out on some family outings, a few fishing trips, and of course a few spearfishing trips. Using it in all of these situations I ended up with a lot of footage so I decided to go above and beyond the normal review and do an all out video review. Check it out or scroll down for the full text review and more photos. You should know that this is a paid review. See the advertiser section for details. I have tried to remain as objective as possible and have not held back or modified my view or the information I’m presenting in order to look favorably on this product. This review was done without any feedback or input from the manufacturer. In short this is all my opinion based on the testing I did first hand. Good quality. The Strap Mount is well built. The back plate has a structure in place to make it rigid. It is made out of plastic but that structure makes it feel stronger. 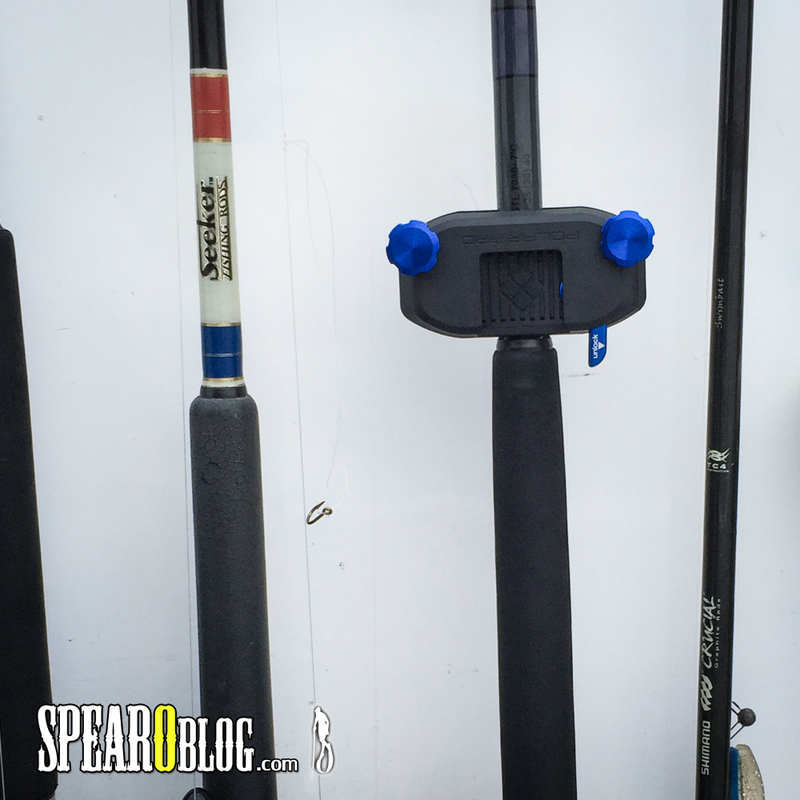 The aluminum lever and bolt heads are stylish and easy to operate even with gloves on. 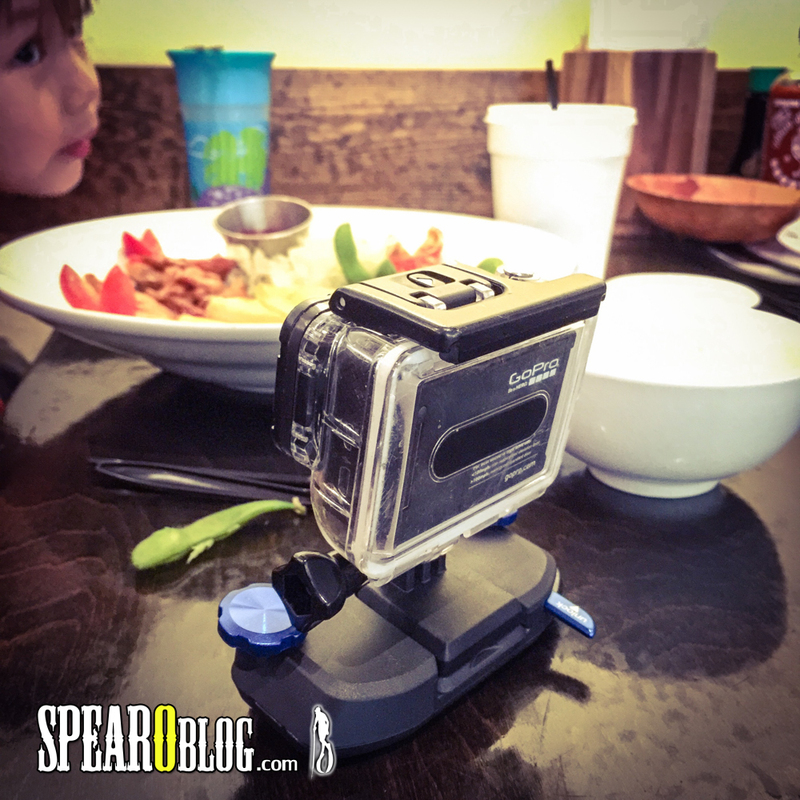 The mount and slot are smooth and easy to take the camera in and out of. The base has a really simple square design with a notch on each side that allows you to mount it in 4 directions. 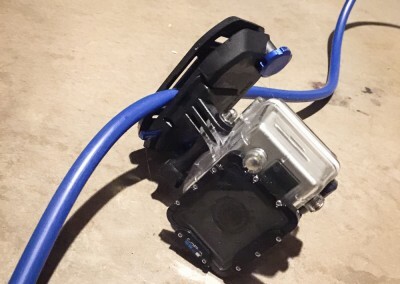 The cool think about this base is that it’s solid and there no obvious weak points like with the GoPro Quick Mount clips. It stood up to some good salt water abuse and didn’t get any rust during the last few weeks of testing. I didn’t rinse it until I was ready to shoot the video and still no rust. I can see it lasting a long time with proper care. Even with this abuse the lever mech still worked smoothly. Over all first impression is a thumbs up. 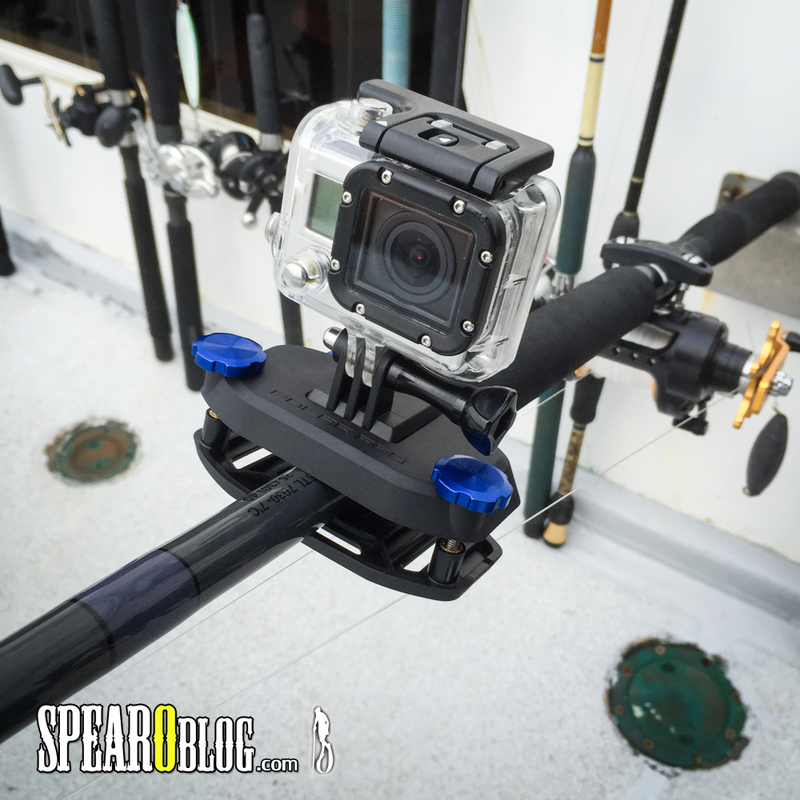 The PolarPro Strap Mount is well built, well designed, and tough. First up was the family test. 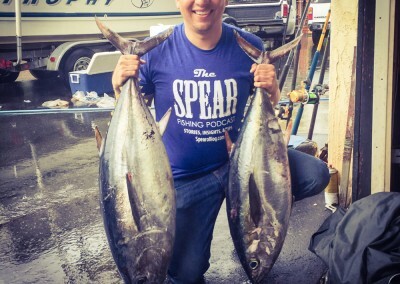 You can’t always be scaling a mountain, snowboarding on fresh powder, or spearfishing yellowtail in Mexico. 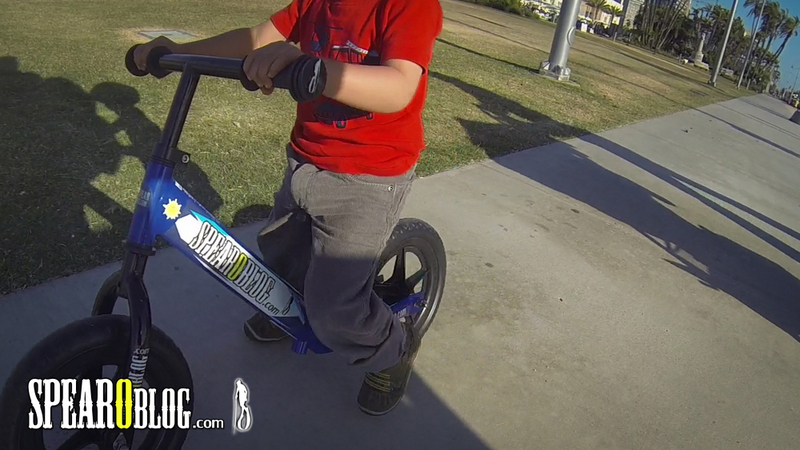 So when I’m home I love shooting video of my kids. 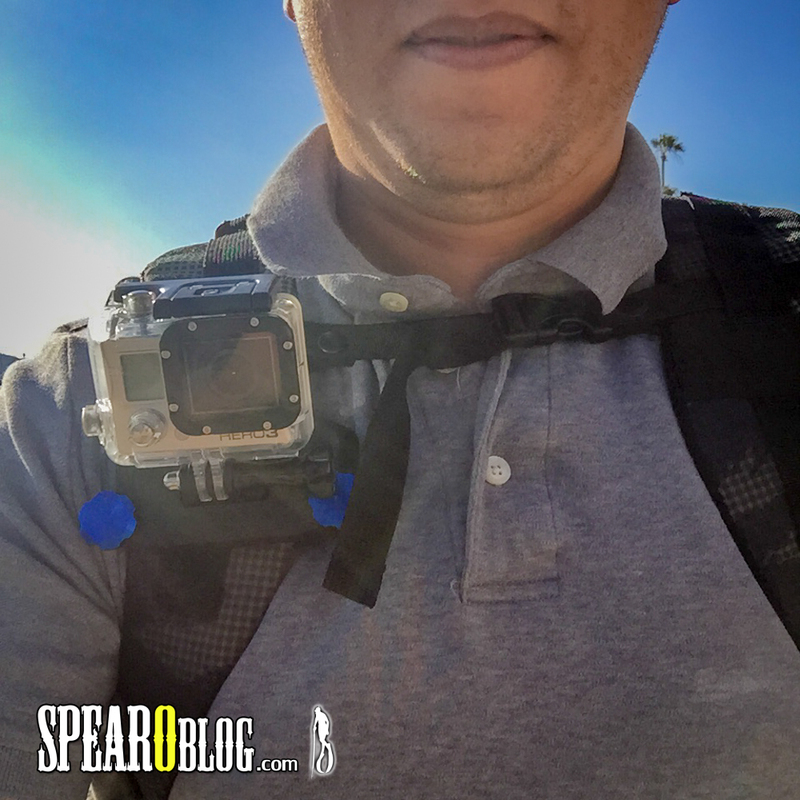 I took the StrapMount around with us to get familiar with it before going on a more serious trip. It worked well. 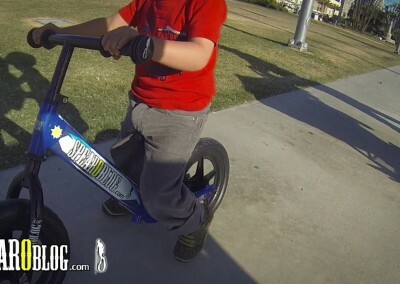 My oldest is just starting to get good on his strider bike so it was perfect for me to go hands free and be ready to spot him if he slipped. The mechanism was smooth. This came in handy for continuous filming and a quick transitions to handheld for a different perspective. 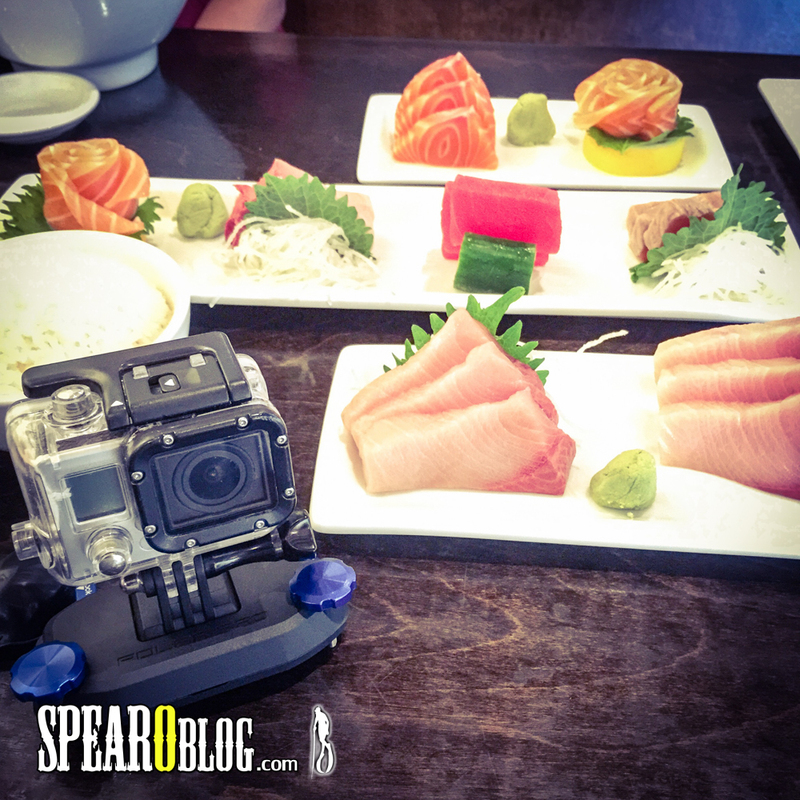 With the GoPro Quick release clip it is difficult to unclip it from the mount without pulling on the camera and pinching the two prongs that hold it in place. There is nothing smooth about that and you will probably end up with your hand or fingers in the shot. It made a nice stand when off the strap too. 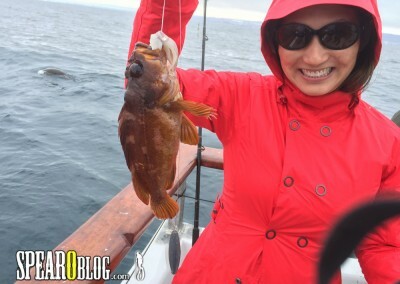 I took it out on a few Fishing trip with my wife and with friends. This was a blast. I set the GoPro on upside down mode and had an Fishing Pole Cam. 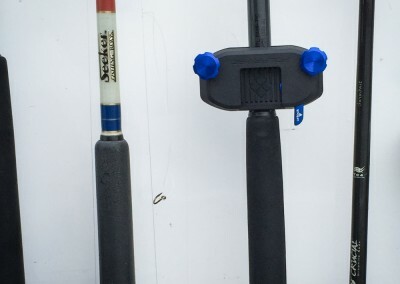 If you have vertical rod holders it also serves as a Camera stand if you flip the camera all the way back. It was easy to mount it on the pole. 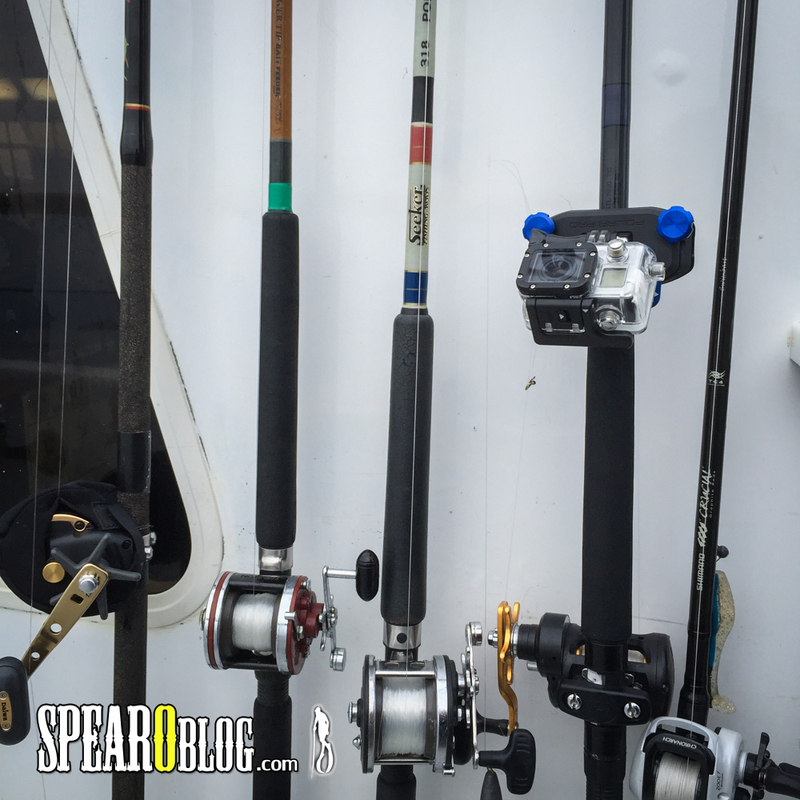 The screw posts were long enough to accommodate the fishing pole and keep the camera in place. There was never a point when I doubted the StrapMount would hold. 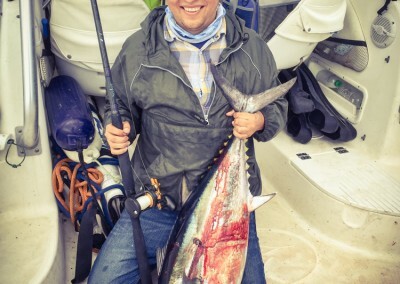 Tilt up for the Pole bending action, Tilt back for the gaff shot and landing, then tilt all the way back and put your pole in the rod holder for a shot of you and your fish. 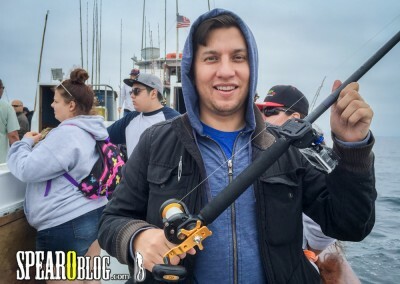 If you want to get your tackle in the shot just pop the go pro off the mount and hand it to a friend. I am so stoked on this perspective. I have been experimenting with rigging a camera to get this view and it finally came together with the StrapMount. The best part is that I didn’t need anything else to make it work. I just put the StrapMount on the float line and bam! 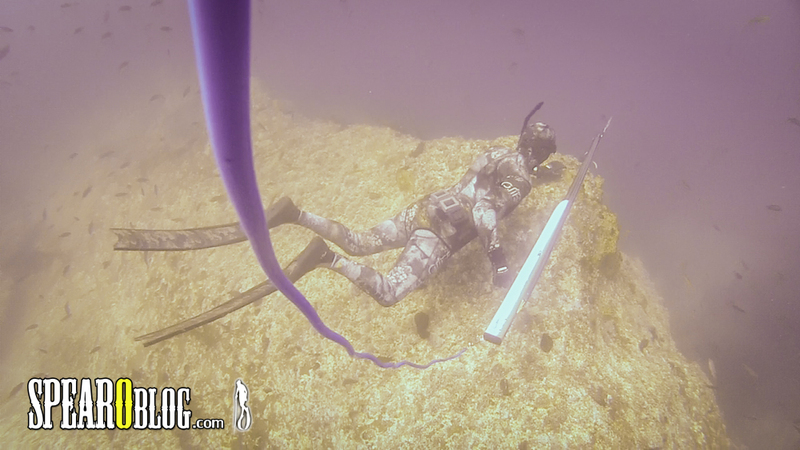 With the StrapMount and a little creativity I may have just changed spearfishing videos as we know them. The days of the first person shooter view are not over but this new perspective gives us a much needed fresh view of the action. 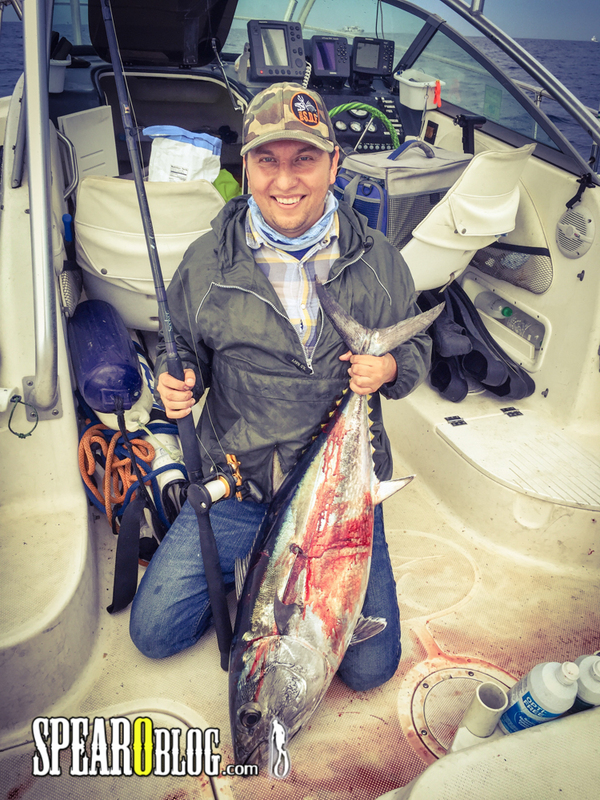 Needless to say the StrapMount held up well even while getting towed by a 20 pound Yellowtail. It is such a unique perspective. Normally you would need another diver following you and even then the shot would not be as consistent. 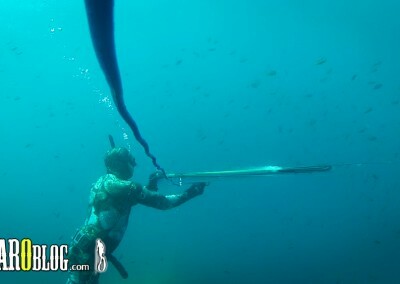 The second diver would constantly be changing distance. 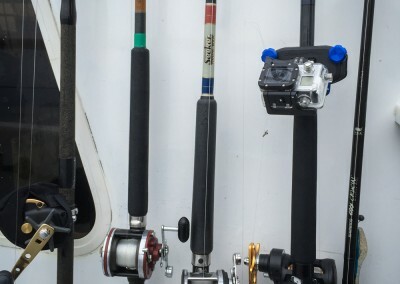 With the float line cam the shot is in the perfect range while you swim or dive. As you pull up your gun to shoot something the line gets the camera a little closer. 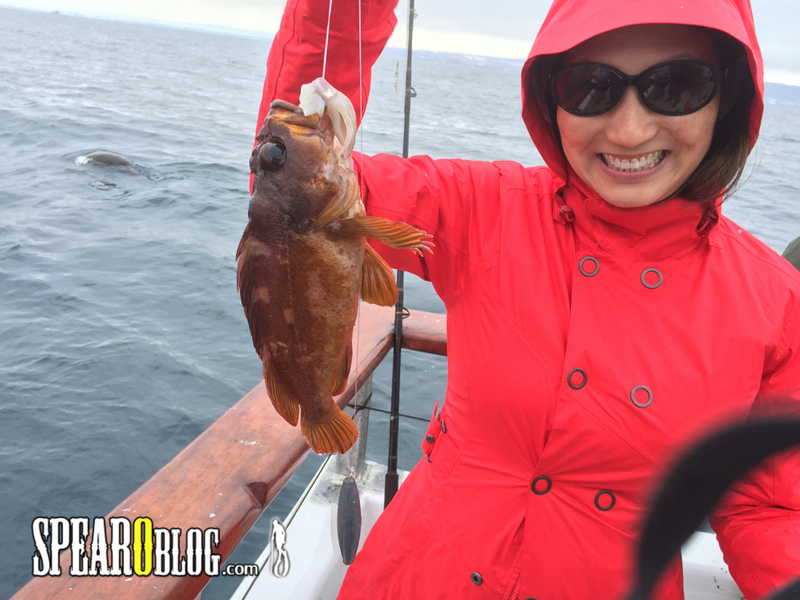 Also having another diver down with you instead of spotting you from the surface may have an affect on the fish so they don’t come in range. Boxers and football players watch tape of themselves and their opponents to see flaws and things they can improve on. With this setup now you can too. You can see your water entry, your diving technique, your smoothness or lack of it. You can watch your own tape and see what you need to work on. If that back pack strap you are using is too thin. The screw posts can dig into your body. This can be resolved by pading the strap or wearing thicker clothes. I know that’s not real con. I had trouble coming up with one. This Strap Mount met my expectations so I have no other cons. 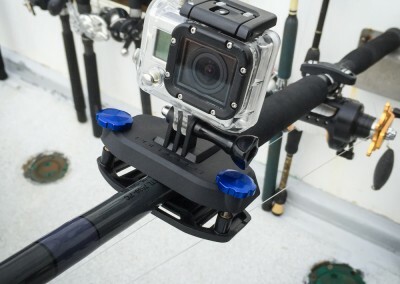 The StrapMount retails for $29.99 and I think that is a fair price. Here is how I came to this conclusion. 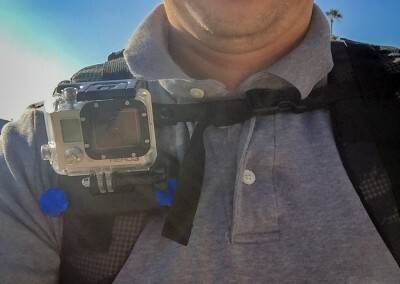 It costs about $5 to get a pair of replacement GoPro quick clips or $20 to get a bag of parts from GoPro tha includes one quick clip. The real value comes in when you factor peace of mind, time saved replacing broken parts, and avoiding the frustration/anger of having the quick clips break on you. 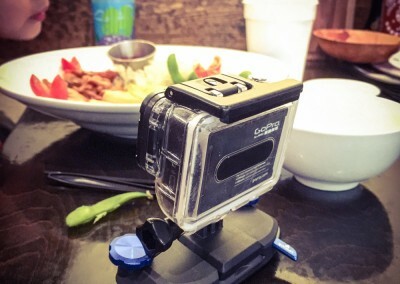 I have enough gear to think about while I’m packing for a trip and a go pro clip should be the last think on my mind. 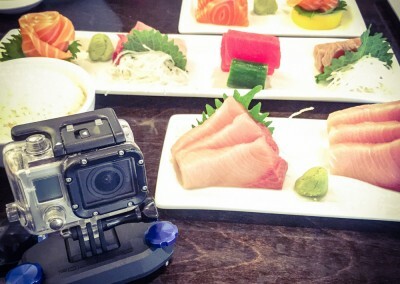 With the PolarPro StrapMount and a little creativity your videos are going to look amazing. In the end that’s what we want from a product like this right? 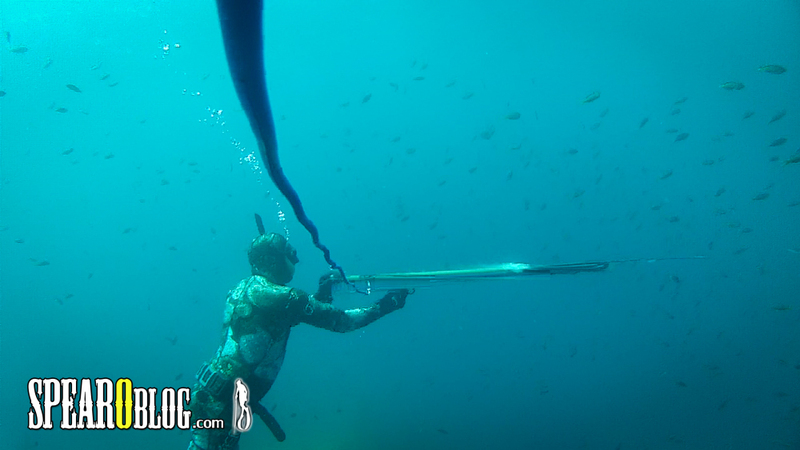 I think combining that first person gun view with this third person float line cam view is going to take spearfishing videos to a whole new level. If you are going to buy one please click on the image below to buy through my affiliate link. It doesn’t cost you any more and I get a small percentage of the purchase total. It is a much appreciated way to say thanks. 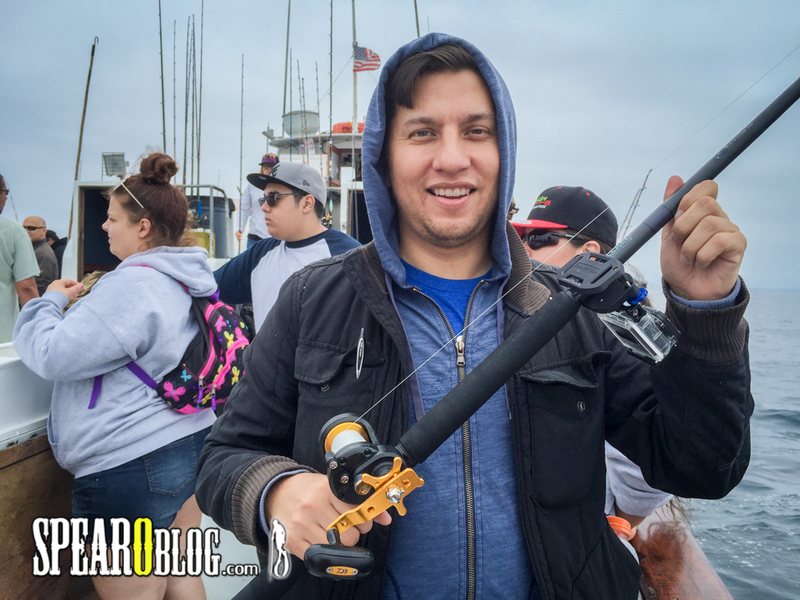 Let me know what you think about this review, the StrapMount, or this cool new way to film your spearfishing adventures in the comments below. Thanks for stopping by.